I’m Angela Korra’ti, a.k.a. “Anna the Piper”, and this is is annathepiper.org, my original personal website. It’s been on the my site has been on the Net for some years now, in several different locations: eskimo.com, wolfenet.com, drizzle.com, and now murkworks.net. It has existed under several guises: Dewshine’s Den, Rillwhisper’s Glade, and now annathepiper.org, a WordPress-driven blog with a lot of extra stuff as well. Hiya! Everybody tends to include a picture of themselves on their web page. This one of me is from early 2011. 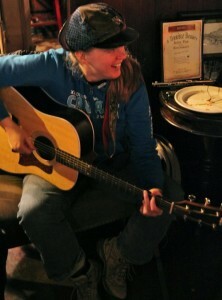 I’ve got my guitar, General Taylor, and I’m at one of the Irish sessions at the pub A Terrible Beauty. The pic was taken by Liz Jackson. Is your name really Angela Sh’k’anna Korra’ti? No, really, what kind of name is that? Here’s the thing: I was born “Angela Renée Highland”. I still answer to “Angie” for the sake of my relatives and oldest friends; I also use “Angela” to sign my checks and that’s usually what people call me at work. I get both “Sh’k’anna” and “Korra’ti” from my aforementioned partner. Sh’k’anna, which is pronounced “Shih-kih-AH-na”, was in short a private gift. Korra’ti is my mate’s last name; I took it as mine when we married, so that there would be two of us in the world. It’s pronounced “kor-uh-TEE”, accent on the third syllable, roll the R’s. Mostly, though, I answer to “Anna”. It’s easier to pronounce and easier to type. Cool, what nationality is ‘Korra’ti’? Short form: We don’t know. Slightly longer form: my partner doesn’t know who her parents were and therefore doesn’t know the origins of her name. Our two best guesses so far have been “Croatian,” from a linguist at the University of Kentucky, and “Hungarian,” from a pizza delivery guy. The latter of which might strike one as an odd source for linguistic information, but he said he was Hungarian and knew Korra’tis in Hungary, so. Researching the name on Google, I came across references to “Korati”, one R and without the apostrophe. So some variety of the name does seem to be out there. Why are you called Anna the Piper? My friend kathrynt dubbed me that, on account of she was very pleased to have the acquaintance of a flute and piccolo player. I protested at the time, pointing out that I didn’t actually play the pipes, but she claimed flutes and piccolos were close enough. I thought it sounded good for an online nickname, and have used it ever since. I’m currently 49 years old. My birthday is January 23rd, which makes me an Aquarius for those of you who keep track of such things. I share my birthday with Richard Dean Anderson, one of my all-time favorite TV heartthrobs, who used to play MacGyver. By profession as well as by hobby, I am a computer geek. In the past I have worked as a localization engineer; more recently, I’ve been a software tester. I have worked for Microsoft as well as a couple of smaller software companies in the Seattle area: Attachmate, AskMe, and Real Networks, where I worked on the RealArcade team. I also spent some time on the New Media team at one of our local papers, the Seattle Times. And my longest-running professional job ever was at Big Fish Games, which I enjoyed quite a bit. Meanwhile, I’m a published writer and have an official site for that at angelahighland.com. My first novel Faerie Blood was released by the sadly now-defunct Drollerie Press, but I have re-released it along with its sequel Bone Walker. I also have a trilogy of high fantasy novels with Carina Press! You can find out all about my novels here. Kenmore, Washington, which is just north of Seattle. I’m one of the extended household/community called the Murkworks, which involves myself and my partner, one other housemate, one cat, and a whole lot of computers and musical instruments. Louisville, Kentucky is my birthplace. I lived there until I was 16 years old, and there attended Indian Trail Elementary School (from 1975 through 1980), Noe Middle School (1980 to 1983), and DuPont Manual High School (1983 to 1985). I also attended, while at Manual, the Youth Performing Arts School, wherein I played flute. In 1985 I lived in Chattanooga, Tennessee and in Nicholasville, Kentucky, before finally winding up in Lexington, Kentucky, where I finished my schooling at Bryan Station Senior High School and then Transylvania University. I still have kith and kin in Louisville and Lexington, and a tiny little hamlet called Gravel Switch. For many years one of my biggest hobbies was a type of online computer gaming called MUSHing. Though I don’t MUSH anymore, a lot of my web work has been inspired by it, and running the web page for Two Moons MUSH in particular taught me how to set up a searchable mySQL database on a web page. My MUSHing also has influenced my writing; people who used to RP with me will probably recognize several of the characters in the books I’m hoping to sell. 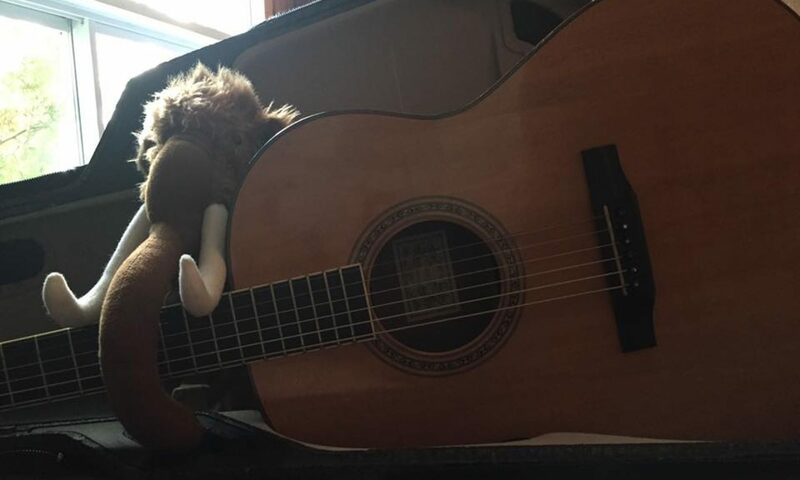 Aside from the computer, though, I like to listen to music as well as play it; my instruments of choice are, well, many, but they can be summarized as ‘flute, mandolin-like things, and guitar’. For a couple of years running I was a founding member of a jamming group called Three Good Measures, which met every other week or so in my living room, and am still hopeful about finding other local musicians who might just want to play for no other reason than making music. I also attended an Irish session run by musician Matt Haverly at the pub A Terrible Beauty for a while. These days, though, most of my musical endeavors are centered around attending a monthly Quebecois session, since I’ve fallen madly in love with Quebecois traditional music. Like most writers (aspiring or pro), I voraciously read; my preferred genres are science fiction, fantasy, mystery, romantic suspense, and some romance.